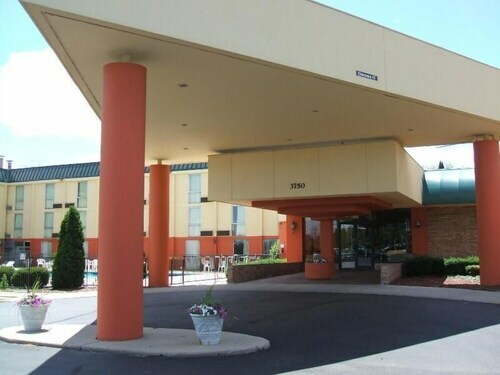 Situated in the business district, this hotel is 1.1 mi (1.8 km) from Buhr Park and within 3 mi (5 km) of University of Michigan and Michigan Stadium. U Of M Hospital and Briarwood Mall are also within 3 mi (5 km). 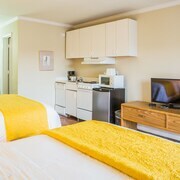 Situated in Ann Arbor, this hotel is within 3 mi (5 km) of Ann Arbor Hands On Museum, University of Michigan, and Michigan Stadium. Kempf House Museum and Power Center for the Performing Arts are also within 3 mi (5 km). How Much is a Hotel Room in Ann Arbor? 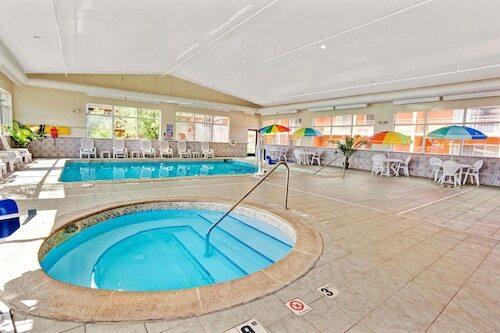 Hotels in Ann Arbor start at $43 per night. Prices and availability subject to change. Additional terms may apply. Welcome to Ann Arbor, MI, or Tree Town as it's also known. Located 45 miles west of Detroit, Ann Arbor comes packed with activities. A lot of the action centers around the University of Michigan, but you can feel the city's buzz in every corner. Whether you're taking in a concert at The Ark or skating at the Ann Arbor Ice Cube, the charm and energy are uplifting. 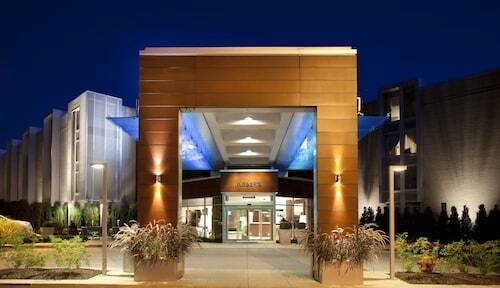 Known for being pedestrian-friendly, many hotels in Ann Arbor put you within walking distance of attractions. Downtown Ann Arbor, with its quaint architecture, upscale boutiques, bookstore, art shops, and cafes, is absolutely worth exploring on foot, as is the University of Michigan. If you happen to be in town in autumn, try catching a Wolverines football game at Michigan Stadium -- the "Big House." If not, there's plenty else to do, like checking out public art throughout town, catching a movie at Michigan Theater, seeing rare animals at Domino's Petting Farm, and strolling through the serene Matthei Botanical Gardens. Kensington Metropark, which is just 20 miles outside the city, is a great getaway, offering canoeing, fishing, and hiking. Excellent golf courses, like Leslie Park Golf Course, are minutes from downtown. 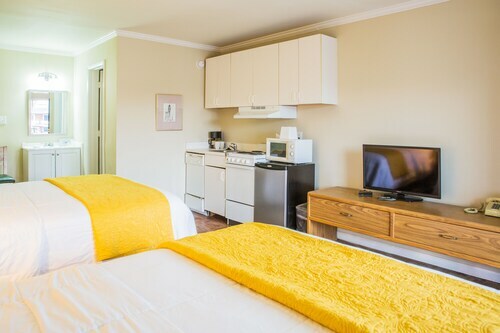 Ann Arbor is a university town, so museums abound and that's why you see so many hotels near the Ann Arbor Hands On Museum, Leslie Science Center, the University of Michigan museums, and other educational attractions. From hot dog and tamale carts on the corner to fragels, a true local food, Ann Arbor delights foodies. In one day, you can get crepes, pizza, and Korean barbecue. 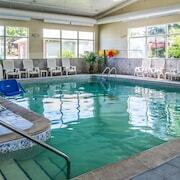 If you want to work off those calories, indulge in arcade games or some fun Karaoke singing. In terms of nightlife, you have ample options. 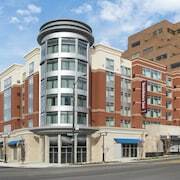 Since the city is so walkable, you can find many cheap Ann Arbor hotels that put you near dining and nightlife. 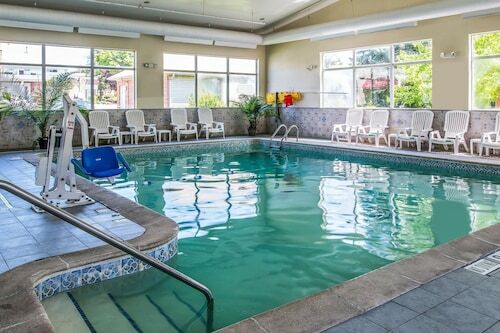 Planning a trip to Tree Town takes time, so look early for the best deals on hotels near Ann Arbor and in town. With everything from business-friendly hotels in Ann Arbor to budget lodgings, Travelocity can help you get your trip started off right. Only complaint is pool tiling is very slick when wet. 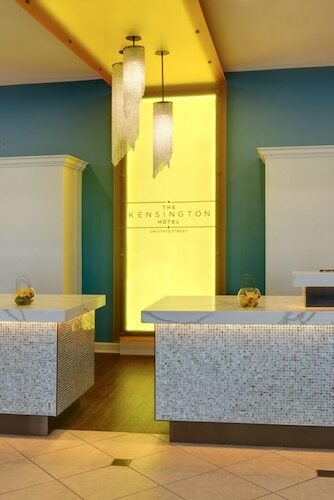 Was greeted promptly when we arrived had a smile and very friendly and informed us where everything was and had energy efficient lights when entering the room and door key esy to use. And a safe travel bag for guest when leaving snacks for the road.